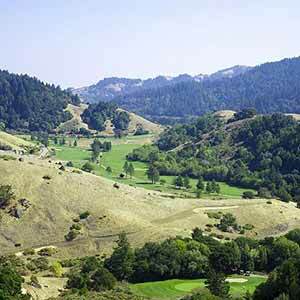 Barnabe Fire Road climbs steeply up a sunny, grass-covered ridge on the south side of San Geronimo Valley. 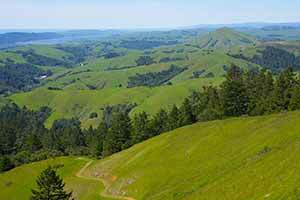 The payoff is a commanding view of grassy coastal hills and redwood-clad ridges, with Tomales Bay in the distance and hawks circling below. It’s a difficult climb, but the increasingly nice views help take your mind off the pain and there’s a attractive mixture of redwoods, oak groves, and open grassland along the way. The challenge of the climb and the magnificent scenery make for a very satisfying hike. An alternate route to Barnabe Peak, Bill’s Trail, is closed for reconstruction until 2019. The main drawback of this hike is traffic noise, which is most noticable at the beginning and end. A little traffic noise even drifts up to the summit sometimes, although it’s minimal. Also, the return from the summit is a little dull; the scenery on the descent doesn’t compare with the views from the summit. The soil along this the Barnabe Fire Road is gravelly and well-drained, so except for some small patches it doesn’t get that muddy when it rains. Here’s the trailhead location in Google Maps or in Google Street View. Start from the Camp Taylor parking lot (there’s an $8.00 fee to park here). Cross the auto bridge and turn left. The road becomes the flat and easy Cross Marin Trail, which gives you a chance to get warmed up before the climbing begins. 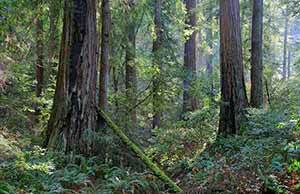 The pleasant dirt road is shaded by attractive second-growth redwoods and runs alongside Lagunitas Creek. Cars whiz by on Sir Francis Drake Boulevard. The trail crosses Lagunitas Creek and Drake Blvd on a footbridge. Continue until you see Barnabe Fire Road to your left. The fire road immediately begins a steep ascent. The woods open up as the redwoods give way to oaks, and you soon get the first view of the redwood-covered ridge across the valley. 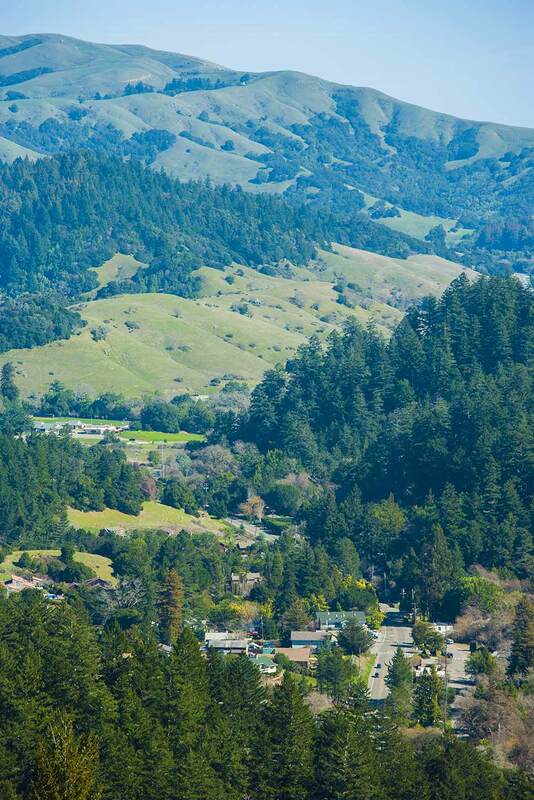 Typically for east-west valleys in this area, the north side of the San Geronimo Valley is covered with grass dotted with oaks and the south side is densely carpeted with redwoods. About half of the climb is shaded, but as you ascend but the trail gets increasingly sunny. Immediately after passing an unofficial trail to the right, there’s a nice view of the little town of Lagunitas, enfolded in its redwood-lined valley. The climb becomes much less steep after this point. Soon after, the trail breaks out of the woods and the really good views start. The fire tower at the top of Barnabe Mountain soon comes into view. It’s a relief to see the tower since that means the climb is almost over. You can hike up to the tower and walk around it to appreciate the views. 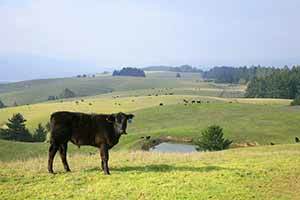 The most expansive views are of the rolling hills to the northwest, where Tomales Bay and the small sharp peak of Black Mountain, near Point Reyes Station, are visible in the distance. Descending from the tower, turn right at the dirt road intersection just below the fire tower. The steep descent has plenty of views but isn’t nearly as scenic as the climb. 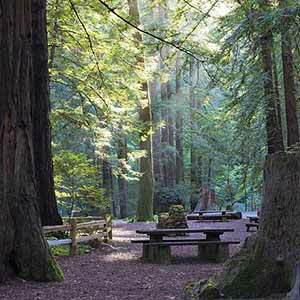 Head through the Madrone Group Campground and cross Sir Francis Drake Boulevard. There’s a little access trail across from the campground entrance that lets you reach the North Creek Trail. Turn left onto this trail and continue a short distance, past the trailer dump station, back to the parking lot. 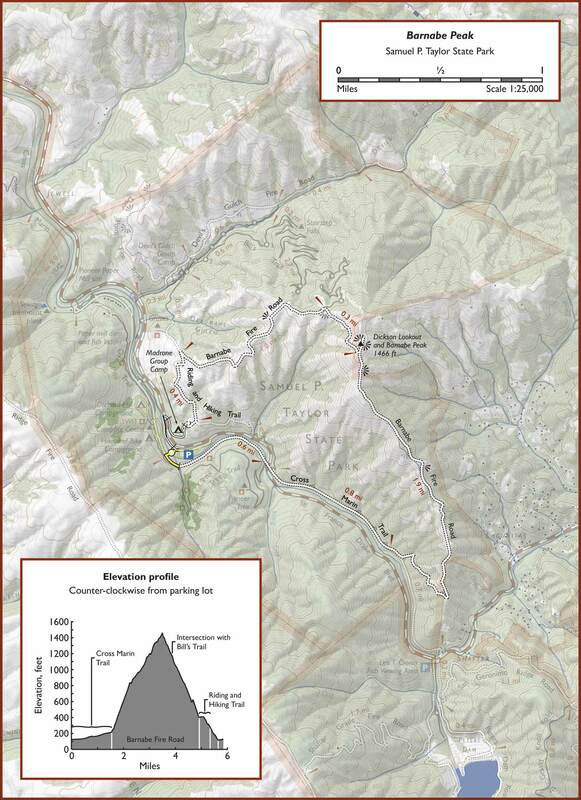 Kevin Gong describes a similar hike, but using Bill’s Trail. BAHiker has a page on this hike, also using Bill’s Trail. Ed Batista followed the BAHiker route. Pictures of the lookout tower.